Will central air conditioning add value to my home? It’s another chilly snowy day here at Verne & Ellsworth Hann in Cleveland Heights. We’re already mid-February so it won’t be long before Spring arrives in Northeast Ohio! Are you thinking of putting your home on the market? Did you know March and April are the best months of the year to sell your home? 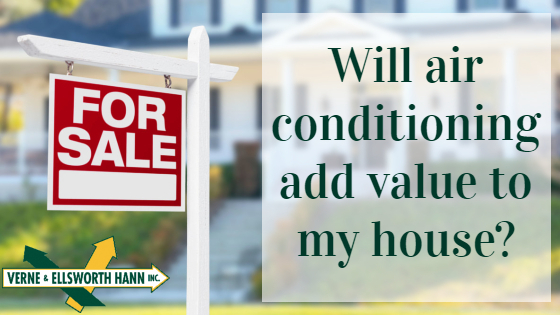 Many homeowners have one important question when it comes to selling their home, “Will central air conditioning add value to my home?” The answer is . . . not only will central air conditioning add value to your home, it is a major selling point! Summers in Northeast Ohio can be downright unbearable between the extreme temperatures and the high humidity. Air conditioning has become a necessity in Cleveland area homes. Many sellers feel they will get the most value from their home by renovating the kitchen or bath. Although this is somewhat true, not every potential buyer is going to have the same taste in cabinets, counters or flooring. But there is no question that every homebuyer wants whole home air conditioning. Even if your home is heated with a boiler, Verne & Ellsworth Hann has solutions for central air conditioning. Serving Northeast Ohio homeowners for over 64 years, Verne & Ellsworth Hann is here for all your heating, cooling and plumbing needs. 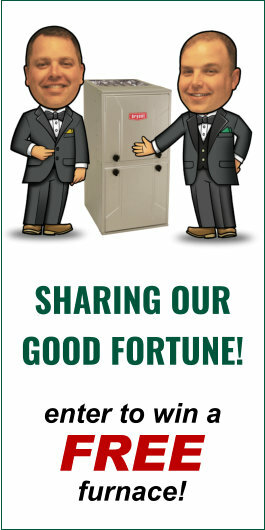 Owned and operated by Bill and Chris Hann, Verne & Ellsworth Hann is the ONLY Hann family owned heating, cooling and plumbing company in Cleveland.